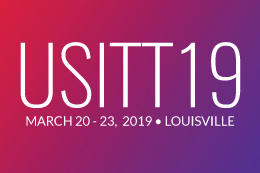 At the March meeting of the USITT Northern Boundary Section, the membership voted to establish a Grant Support fund of $1,000 to be awarded to an applicant who will be traveling to attend the Prague Quadrennial for Performance Design and Space, June 6-16, 2019. Held once every four years, the Prague Quadrennial of Performance Design and Space is the world’s largest performance design event — a presentation of contemporary work in a variety of performance design disciplines and genres including costume, stage, lighting, sound design, and theatre architecture for dance, opera, drama, site-specific, multi-media performances, and performance art. The Grant Support Fund is available to students or professionals who are members of Northern Boundary Section, USITT. The application deadline is April 15, 2019. 2019 is the inaugural year of the Symposium on Education in Entertainment and Engineering. 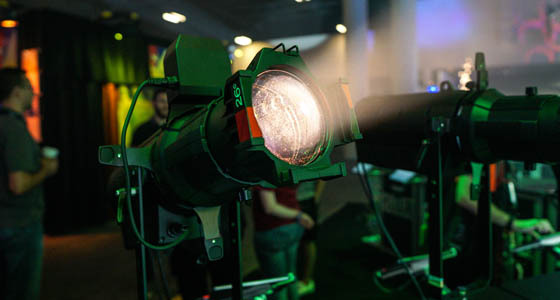 The idea for the Symposium arose out of a day-long meeting of industry professionals and educators in theatre technology and engineering during the summer of 2018 in a hotel meeting room outside of O’Hare Airport in Chicago. The Symposium will take place on the campus of Purdue University, and will highlight advances, challenges, and trends in curricular design, instructional design, academic research, and cross-disciplinary work related to the intersection of engineering and live entertainment. This symposium is specifically aimed at building bridges between two exceptionally different academic and professional cultures and practices; presentations come from many different backgrounds and academic experiences. More information and registration can be found here. San Diego Opera is seeking 40-50 participants for OPERA HACK: a two-day hackathon for music, theater, and technology experts to gather, brainstorm, and discover new methods for live performance. Participants will form interdisciplinary teams to bring forward innovative ideas that can advance the production and presentation of opera. A panel of advisors will select up to five winning ideas for further concept development. A total of $40,000 will be dispersed to the winning teams to develop their concepts over the course of the following year (July 2019 – Summer 2020). Winning concepts will be presented in their most completed form at a public event in Summer 2020, to demonstrate what advancements in recent technology can do for the musical theater industry. Opera Hack is made possible by an Innovation Grant by OPERA America and is sponsored by Microsoft. Acoustic Distinction announced the expansion of their team with Charlie Burnor, Senior Associate, AV. As a Senior Associate at Acoustic Distinctions, Charlie’s responsibilities include AV and Audio System design, project management, consulting, and construction administration. With over 15 years of experience in these areas, Charlie is particularly focused on the aesthetic impact of technical systems and best practices for seamless integration of technology into new construction and renovation projects, with experience ranging from residences and small conference rooms to large scale campus and sports facility AV design.